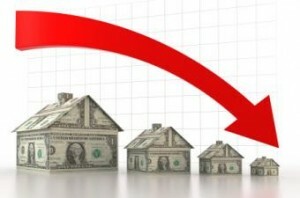 There is an interruption occurring in the housing market. Homeowership numbers among Generation X have quickly went from first to last due to lingering effects from the housing bust. 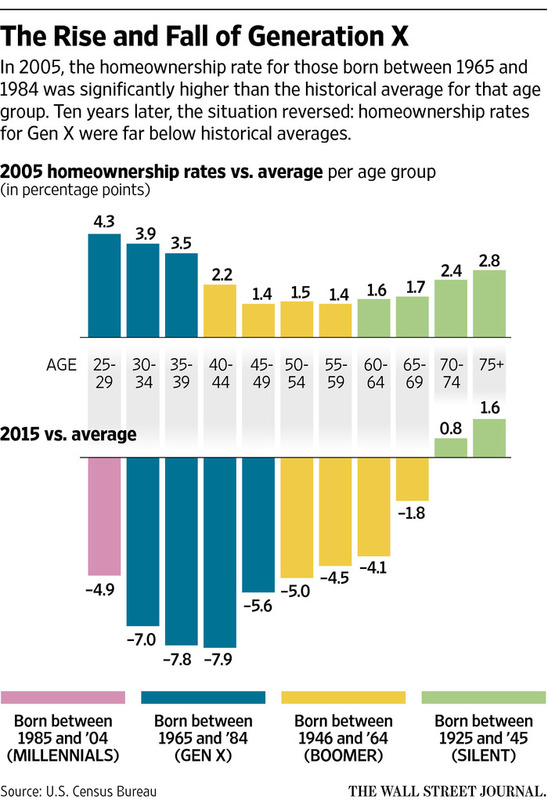 Generation X has suffered more than any other age cohort from the housing bust, according to an analysis of federal data and a report from the Wall Street Journal by Chris Kirkham. The report also noted that homeownership rates could remain low for this generation for years to come. Generation X went from the most successful in terms of homeownership rates in 2004 to the least successful by 2015, according to the data and Kirkham's report. Kirkham says the culprit for this occurrence among Gen Xers is "a historic bull market for housing, fueled in part by easy-to-get mortgages, that encouraged record levels of home buying until the financial system cracked and the housing market collapsed. 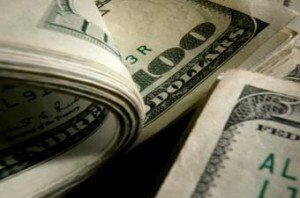 Earlier generations such as baby boomers, who entered the market before the frenzy of the early 2000s, have fared better." 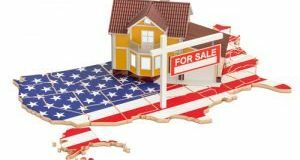 According to the U.S. Census Bureau, the homeownership rate rose 0.1 percent to 63.8 percent in the fourth quarter of 2015, compared to 63.7 percent last quarter. Despite the rise however, the homeownership rate is 0.2 percent below the rate of 64.0 percent last year during the same period. In addition, although the homeownership rate, while up from a 48-year low in the second quarter of 2015, is still below the peak of 69.2 percent in June 2004. "Today's Census Homeownership and Vacancy Survey release also provides optimism that the homeownership rate may have hit bottom in 2015," said Ralph B. McLaughlin, Chief Economist at Trulia. "Many Gen Xers lost their homes during the recession, so this is a positive sign that we may be seeing boomerang buyers coming back into housing market. However, the increase was not statistically significant from a year ago." The Bureau found that homeownership was highest among those 65 years and older at 79.3 percent int he fourth quarter of 2015, down slightly 79.5 percent in the previous quarter. However, the only age group to increase their homeownership rate was the 35 to 44-year olds, from 58.8 percent in the fourth quarter of last year to 59.3 percent in the fourth quarter of 2015. Capital Economics Property Economist Matthew Pointon added, "That gradual rise in the homeownership rate should continue over the next few years. On the demand side, there are large numbers of young adults who are currently living with their parents. And many of them would like to form their own household. The financial crisis locked them out of homeownership, as they lost their jobs and/or banks refused to provide them with a mortgage. But both factors are now steadily improving. Jobs are being created at a rapid pace, and we expect earnings growth will finally start to rise this year. As well as allowing more households to access homeownership, that will also cut down on mortgage delinquencies and keep more families in their homes."